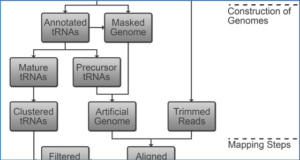 The challenge presented by high-throughput sequencing necessitates the development of novel tools for accurate alignment of reads to reference sequences. Current approaches focus on using heuristics to map reads quickly to large genomes, rather than generating highly accurate alignments in coding regions. 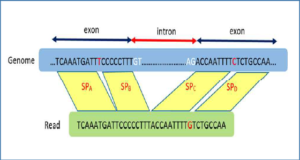 Such approaches are, thus, unsuited for applications such as amplicon-based analysis and the realignment phase of exome sequencing and RNA-seq, where accurate and biologically relevant alignment of coding regions is critical. 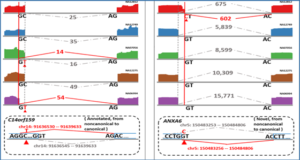 To facilitate such analyses, researchers at the South African National Bioinformatics Institute have developed a novel tool, RAMICS, that is tailored to mapping large numbers of sequence reads to short lengths (<10 000 bp) of coding DNA. 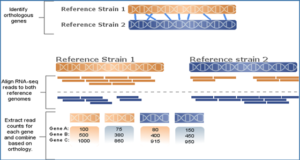 RAMICS utilizes profile hidden Markov models to discover the open reading frame of each sequence and aligns to the reference sequence in a biologically relevant manner, distinguishing between genuine codon-sized indels and frameshift mutations. 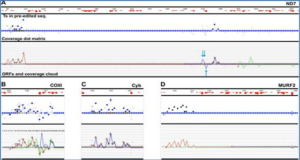 This approach facilitates the generation of highly accurate alignments, accounting for the error biases of the sequencing machine used to generate reads, particularly at homopolymer regions. Performance improvements are gained through the use of graphics processing units, which increase the speed of mapping through parallelization. RAMICS substantially outperforms all other mapping approaches tested in terms of alignment quality while maintaining highly competitive speed performance. The RAMICS hidden Markov model. Availability – The RAMICS software (University of the Western Cape, Copyright Reserved, 2013) is available under license from the University of the Western Cape, South Africa at http://hiv.sanbi.ac.za/tools#/ramics.